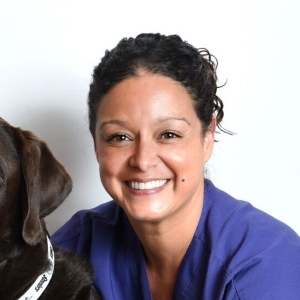 My name is Ali I have been working with OCVMC since 2000 when it was originally known as Tustin Avenue Veterinary Hospital. I started off as a veterinary technician and then promoted to office manager. I enjoy spending hours at the beach with my chocolate Lab Bosco playing Frisbee for days. I love hiking, cooking, eating and spending time with family and friends.